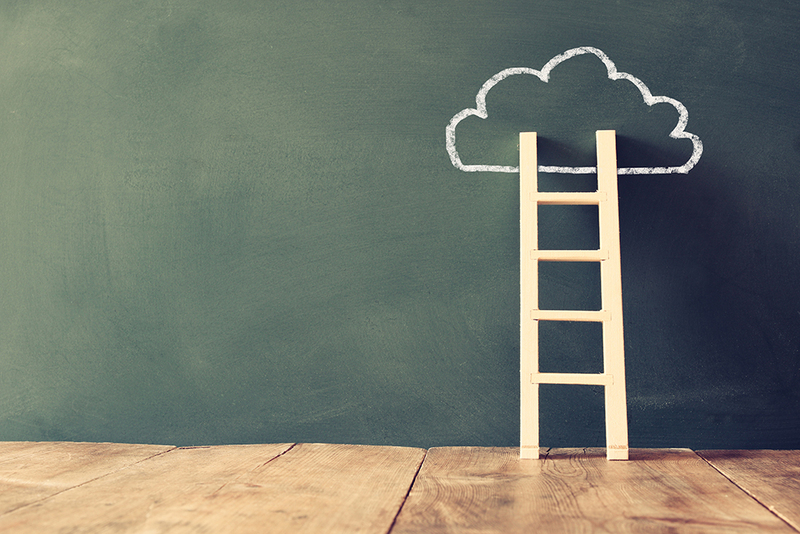 So you think you’re a leader, and you’re making your way up the corporate ladder. I admire your ambition! But I have a warning for you: Don’t follow in the footsteps of those who hold the top positions now. The world is changing, and the career path others followed won’t prepare you for the leadership tasks that lie ahead. In a world of fast exponential change, where everything is connected and complexity and ambiguity are immense, the best – really the only­ – preparation to be a CEO is to repeatedly put yourself in risky situations where the rules are unclear, the information is foggy, and the outcome is highly uncertain. That’s how you’ll build the skills and psychological reserves you’ll need later. Conventional career paths – the ones companies typically recommend for their high-potential leaders – that move you step-by-step up a functional silo or rotate you through a series of jobs don’t accomplish the same thing. Think instead about a ‘responsibility path’, where you decide for yourself what specific learning you need next and aggressively pursue it. Building basic leadership skills, such as increasing the return on your time and identifying other people’s talents, should be ongoing, but skills alone get you only so far. You have to make an occasional leap. We know that talented people can grow very fast. We’ve seen people like Mark Zuckerberg, Jeff Bezos, and Elon Musk meet exponentially more complex challenges as their companies expanded at warp speed. Clearly each had the raw talent, but we likely wouldn’t know their names if they had been forced to climb the ladder rung by rung. Press for jobs or tasks with a high level of difficulty and where success is not guaranteed. From his early days, Mark Fields, now CEO of Ford, pursued the jobs other people avoided. “I always choose to run to the fire,” he told the Wall Street Journal’sJoann Lublin. Sizing up new situations and setting priorities quickly became second nature. Explain your learning goals, and solicit their ideas for your next big leap, but come prepared with suggestions of your own. Maybe you could join a team that is tackling a major issue for the company, or make a horizontal move to a completely different part of the business. Solicit frequent and honest feedback, and if you’re not getting it from your boss (don’t count on the annual performance review! ), seek it elsewhere. Ask colleagues you’ve worked with on team projects or other leaders who know you what they see as your greatest strength, and what one or two things you should work on. Many successful leaders I know say how lucky they were to have had a boss or mentor who helped them. However, if your boss consistently fails to help you grow, do some networking to find one with a reputation for advancing their direct reports. You’ll know it’s time to make a leap when you’ve mastered your current job, your learning slows, and you’ve exhausted all the avenues for growth. Pursuing one big leap after another without building your capabilities may feel good now but sets the stage for a spectacular failure later. Especially in this age of transparency, the substance of your work matters. You should be leaving any team, department, or business you run better than you found it. If you face an occasional setback, consider it a bump in the road. Take stock of what you’ve learned, and move on. And if you find yourself driven by blind ambition, reflect on what you’re really after from two perspectives: business achievement and life satisfaction. I’ve seen many people ‘succeed’ at the expense of their health, their families, their conscience, and their sense of fulfillment in life. Be true to yourself and find the balance that’s right for you. Ram Charan is the author of the new book The High Potential Leader: How to Grow Fast, Take on New Responsibilities, and Make an Impact.